My early interests in science were framed by many fortunate circumstances. My father had founded and was headmaster of an elementary boarding school for boys in Lakeville , Connecticut . The school was in a beautiful setting where I would spend countless hours exploring open meadows, fields, woods and streams, usually alone. My parents provided enormous encouragement for all my interests. At the age of ten my passion was snakes and I thought that I would become a herpetologist. I kept three foot long black snakes in my bureau drawers until one day a housekeeper came to put some clothes away. Clearly this was not in her job description and she left immediately. My interests soon shifted to birds after a single early morning birding excursion for the boys with Robert Cushman Murphy, an expert ornithologist at the American Museum of Natural History in New York . Birds became my passion and I kept detailed records. 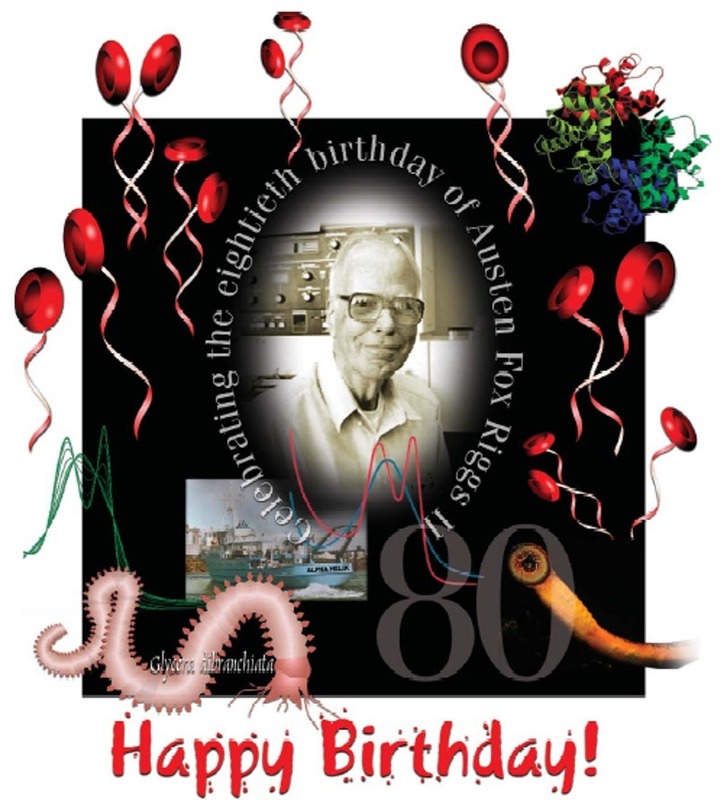 Until my junior year at Harvard College I was sure that I would become an ornithologist, but I took George Wald�s wonderful, eye-opening biochemistry course, was hooked and soon entered his laboratory as a graduate student. He suggested that I study the metamorphosis of hemoglobin in the transition from tadpole to frog because he had just discovered that there were changes in the visual system during metamorphosis. Although oxygen binding by the adult hemoglobin was strongly pH dependent, that of the tadpole appeared almost pH independent. This behavior could only be explained decades later with the discovery by the Ruth and Reinhold Benesch of the role of organic phosphates in controlling oxygen affinity. Throughout this period I was greatly inspired by Jeffries Wyman. Oxygen binding of lamprey hemoglobin was then investigated. Although the data clearly showed that oxygen binding was cooperative, we attributed this to an ill-defined experimental error because the hemoglobin was believed always to be monomeric and so could not bind oxygen cooperatively. The message: never sweep under the rug data which don�t fit! Robin Briehl found the answer in the self association of deoxy lamprey hemoglobin. In the early 1950s enzymologists were finding that mercurials inhibited many enzymes by reacting with their sulfhydryl groups. A similar reaction in rhodopsin was soon found by Paul Brown and George Wald. This led to my finding that mercurials greatly altered the oxygen affinity and cooperativity of hemoglobin with no loss of oxygen binding capacity. This finding soon led Max Perutz to use mercurial binding to solve the phase problem in the crystallography of the hemoglobin. Soon thereafter the beautiful structure of the molecule emerged. Why were mercurials not tried earlier? Part of the reason may be that sulfhydryl groups were widely believed from the work of Anson and Mirsky to be reactive only after denaturation of the hemoglobin. These early studies led to the continuing life-long fascination with the structure-function relations of diverse hemoglobins ranging from yeast and worms to man. In my junior year in college I was invited by George Bell and Richard Bryant one December to go winter camping and snowshoeing after Christmas in the White Mountains of New Hampshire. But, I said, I have never been snowshoeing. There�s nothing to it, I was told. It turned out that they had never done it either. Within three years (1950) George and I had organized an expedition to Peru to climb Yerupaja, at 21, 670 feet the highest unclimbed peak in the Western hemisphere. Dave Harrah and Jim Maxwell succeeded in reaching the summit with the cost of frozen toes. They narrowly avoided disaster near the summit when a cornice upon which Dave was standing broke and he fell 150 feet until stopped by the rope. Two years later (1952) I had dreamed up the idea of taking aerial photographs of the mountains of Peru , had learned to fly and proceeded in a Piper Cub to fly to Peru with George Bell. Along the Southwest coast of Mexico we came to a large mass of ominous clouds which could be avoided by going out to sea or over the mountains. We went over the mountains towards our destination airport. Deciding that we must be abeam the airport, we turned West, descended into the clouds and shortly emerged, to our surprise, in a gorge. George later remarked, after his participation in an expedition to climb K2 , the second highest peak in the world, that he thought that this flight was the most dangerous thing he had ever done. These early adventures led to a life-long interest in both climbing mountains and flying. The same year of the Peruvian flight I met Claire Killam, then a graduate student at Radcliffe, and with our marriage began the most wonderful adventure of all.